Top 10 Tricks To Increase Sales Of E-commerce Website On Holiday Seasons. The holiday season means increased e-commerce spending. 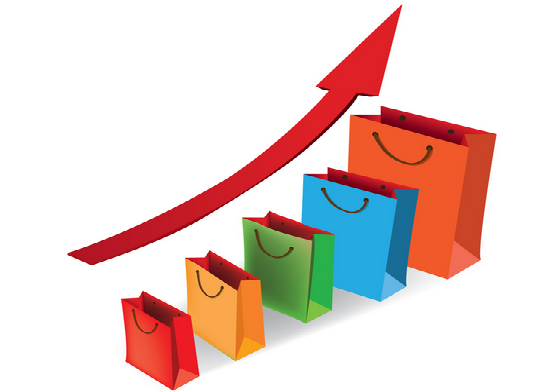 During the festive or holiday season, the number of sales goes up by 40 to 50%. With the holiday season right around the corner, you must give your online customers a chance to go on a shopping spree while staying in the comfort of their homes. Make your e-commerce business holiday season ready by using the below written tips and tricks. If you want to attract your potential visitors’ attention, it is important that you set the right mood and decorate your e-commerce store. You can do different things to liven up your online store and give the shoppers a chance to enjoy the holiday season. As an online seller, you have to attract your customers by offering them special discounts during the holiday period. People are always looking for sales and holiday season is the best time to offer your customers what they are looking for. During this time, they are free and can thus easily shop for their favorite products. You can come up with an exclusive campaign that focus on your target audience. Make the campaign interesting and extremely enticing to gain maximum sales traction. Remember, your e-commerce business is bound to gain a lot of business during the holiday season, so make sure you target the right audience. Remember, people cannot buy everything at a given time, so give them a chance to add the items to a wish list. You may have a few items for the sale, but give your customers a chance to create a wish list. A wish list can successfully keep the online buyers coming back for further purchases and fight shopping cart abandonment problem. So this holiday season, add the option of making a wish list for your customers and witness an increase in the conversion rate. If you wish to boost your holiday sales, make sure you reach out to your customers inbox. Email marketing has over and over again proved to be the best form of marketing. By reaching out to your customers and by telling them more about your holiday discounts, you can easily get a high return on investment. First of all, create a list of subscribers and use that to promote your offer. Many of the customers on the list would be your regular clients, therefore it becomes easy to earn business from them with lesser investment. You can start with this policy early so that you can create a sense of urgency among your customers. The holiday season is the best time to launch a new service or products. Launching the right product at the right time will help you to attract audience’s interest. New products when strategically launched can help a company to increase its revenue by approximately 40%. So if you are ready to do all the preparations and your product is really ready for the launch, the holiday season will be the best time for the launch. Everybody is free from their jobs and studies during the holiday season and people like to meet the friends and update their social media profiles. Thus, this is the perfect time to promote your e-commerce store on different social media platforms to attract users’ interest. You can post your offers on Facebook or publish alluring infographics to make the potential customer notice your services. You can even use Instagram, another popular social media network, to create a brand image for your e-commerce store. Use top trending practices during the holiday season to launch an interactive campaign to increase your business sale. This sales strategy will also help you to gain regular and loyal customers. During the holidays, people have free time and thus they like to buy gifts for their loved ones. While shopping online, they appreciate on-time delivery, return policies, flexible payment options, and clear shipping details. Therefore, if you allow your customers to have a clear understanding of your policies, your e-commerce business is bound to earn profits. As an entrepreneur, you must make sure that your target customers trust your business. For this, you can introduce fast delivery option with free gift wrapping service. This is one of the best ways to increase sales by a great margin during the holiday season. This way you can easily keep your customers happy and earn sales. While people have moved on from the desktops and are using their mobile phone to make a search, you must also reach out the platform that your target customers are using. Launching a mobile application during the holidays will help you catch the audience attention easily. While people are browsing through your mobile app, they are more likely to make an impulsive purchase. A mobile app will make it easy for them to find what they are looking for. Moreover, in order to increase traffic to your website, you can link the app to the website’s landing page so that people are diverted to it. Different banners such as, “Valid Till Stock Lasts”, “Only For The Holidays”, “Limited Period Offer”, can be used to create a sense of urgency amidst the customers so that they readily take an action. Your e-commerce business should attract the audience toward itself to earn profits and the concept of scarcity of time will make the job a lot easier. So is your e-commerce site ready to handle the holiday rush? With the above listed tricks and tips, you can be sure that your visitors are easily converted into loyal clients.